Send Your Sweetheart Love on Valentine's Day! 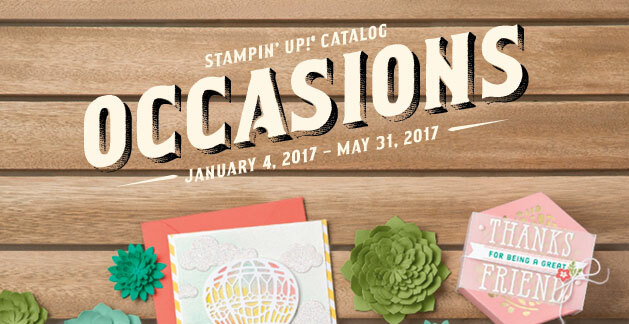 Take a look at Stampin' Up! Paisley and Posies Stamp Set and Framelits Dies in the Occasions Catalog! Earn FREE products in the SALE-A-BRATION CATALOG! This weeks' DOstamperSTARS Challenge inspired Stampin' Up! Paisleys & Posies Stamp Set #142196 and Paisley Framelits Dies #141849 in the Occasions Catalog! I had a hard time deciding on the blue and white in the picture or red and white to celebrate Valentine's Day. So I created both! Let me know which one you like by leaving me a comment. I would love to hear from you! So, let's get started with the fun! The supplies you will need to create both cards includes: Paisleys & Posies Stamp Set #142196, Paisley Framelits Dies #141849, Lovely Lace Textured Impressions Embossing Folder #133737, Cherry Cobbler Cardstock #119685, Night of Navy Cardstock #100867, Whisper White Cardstock #100730, Glimmer Paper Gold #133719, Cherry Cobbler #126966, Night of Navy #126970, Dapper Denim Ruched Ribbon #141424, and Real Red Stitched Satin Ribbon #141693. 1) Cut two Cherry Cobbler Cardstock #119685 5 x 7 and 1 3/4 x 4 3/4, and two Night of Navy Cardstock #100867 5 x 7 and 1 3/4 x 4 3/4. Four Whisper White Cardstock #100730, and two Glimmer Paper Gold #133719 1 1/2 x 4 3/4. 2) Cut 4 1/2 x 4 1/2 heart from Whisper White Thick Cardstock #140272. 3) Stamp with Paisleys & Posies #142196 inside heart. Use mask to create heart. Hint: stamp individually to create images closer to each other for a more dense heart. 4) Die cut with Paisley Framelits Dies #141849 from Glimmer Paper Gold #133719. Die cut two paisleys in Cherry Cobbler Cardstock and two in Night of Navy Cardstock to create the two small hearts matted on Gold Glimmer Paper. 5) Emboss strips of Cherry Cobbler and Night of Navy with Lovely Lace Textured Impressions Embossing Folder #133737. 6) Stamp sentiment tag in Night of Navy Ink #126970 and Cherry Cobbler Ink #126966. Mat tags with Gold Glimmer Paper. 7) Stamp sentiment and images inside with Paisleys & Posies #142196. Enjoy giving with Paisleys & Posies Stamp Set and Paisleys Framelits Dies while earning FREE products in the SALE-A-BRATION Brochure!